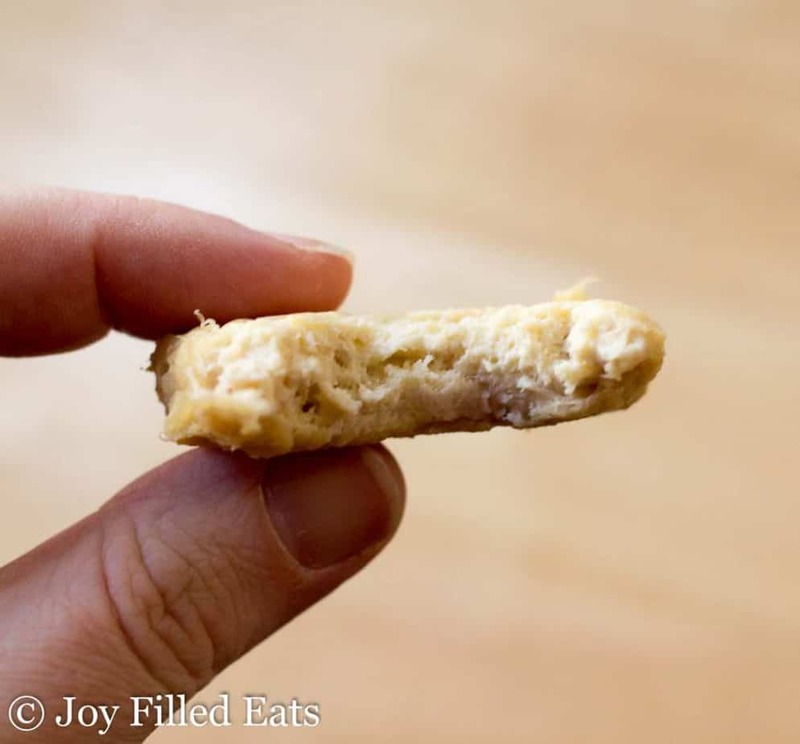 My Low Carb Chicken Nuggets have only 5 ingredients and take about 5 minutes to prepare. They freeze well, travel well, and taste delicious! There is just something about chicken nuggets. Maybe it’s the fun of eating with your hands or just the yum factor of dipping in a condiment but they really are a comfort food. 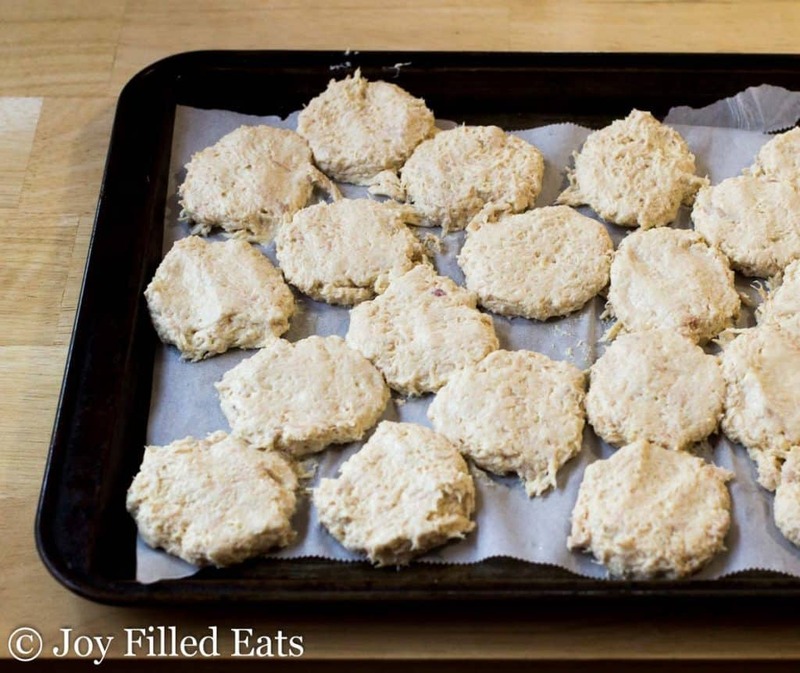 I’m happy to eat them for lunch along with my kids when I have some of these Low Carb Chicken Nuggets waiting in the freezer. 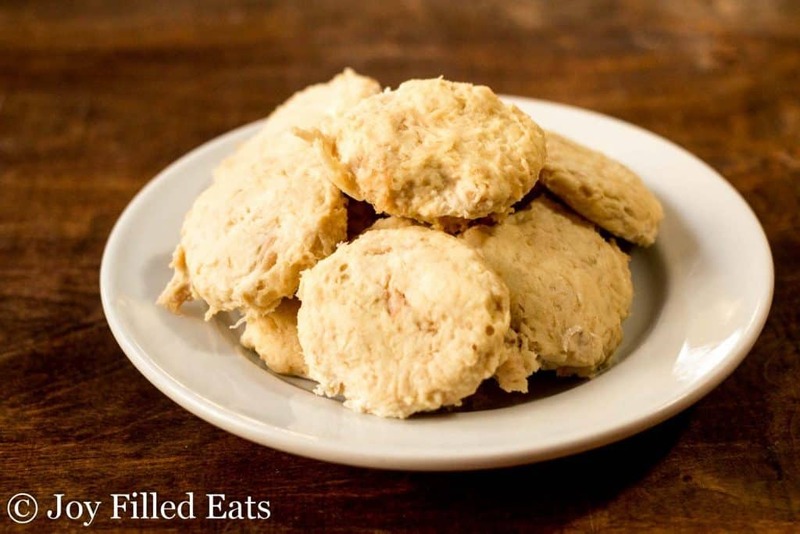 I’ve roasted whole chickens just to save the meat for this Low Carb Chicken Nuggets recipe but it also works great with leftover chicken meat. The trick is warming the chicken before adding it to the mixer so it shreds into tiny pieces with no effort. 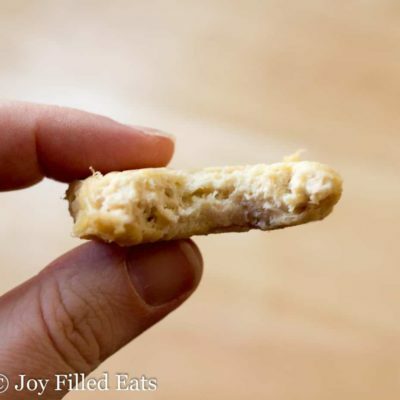 Most of the chicken nugget recipes I’ve come across use small pieces of raw chicken and just bread them. Those are good but I like the soft texture that is inside conventional chicken nuggets. That is what I wanted to mimic in this recipe. 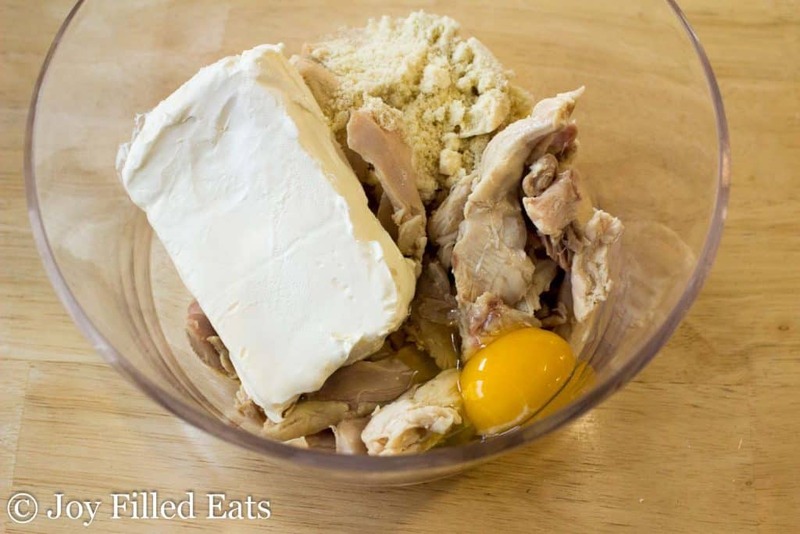 With a big bowl and a decent mixer, you can even shred the chicken and mix in the other ingredients all at the same time. Just make sure the chicken is very warm and the cream cheese is soft. It is as simple as mixing, scooping, and flattening. It really takes about 5 minutes to make a whole batch. 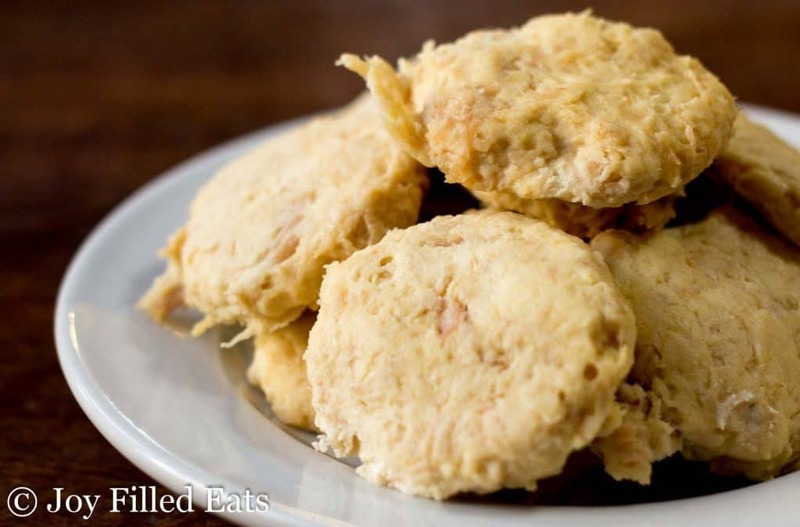 These low carb chicken nuggets are great to serve for parties because you can make them ahead and just reheat. But I’ve also been known to sneak a few cold right from the fridge. For a complete eat with your hands kid-pleasing meal make a batch of my Broccoli Cheese Nuggets too! 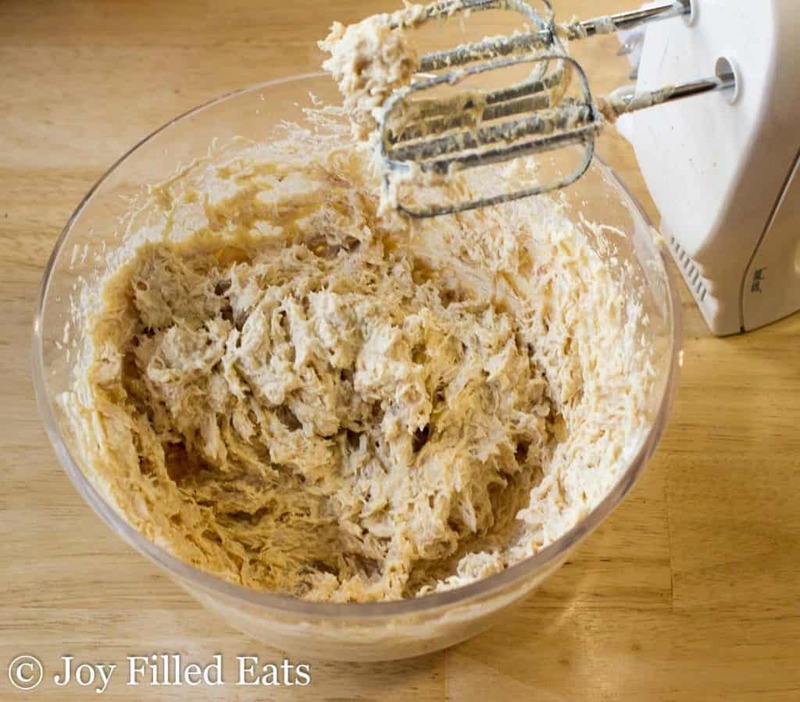 Shred chicken with an electric mixer. This works best with a combination of dark and white meat (or just dark meat) that is still warm. If you are using leftover chicken warm it up a bit first. Once the chicken is shredded add in the rest of the ingredients and mix until thoroughly combined. 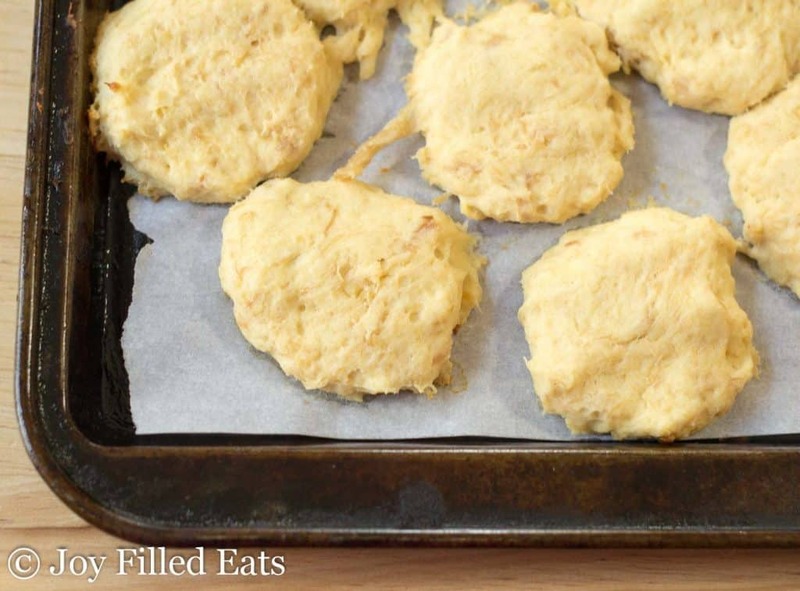 Drop scoops onto a greased baking sheet (or use parchment paper to line it) and flatten into a nugget shape. Bake at 350 for 12-14 min until slightly golden and firm. To reheat from frozen I either microwave for about 45 seconds or bake in the oven or toaster oven at 350 for about 10 min. Originally posted on Dec 31, 2015. Revised and republished on Jan 28, 2018. Wow thank you these are delicious. I popped mine into the air fryer for 5 min after baking and they’re delicious! Yes, but you need much less. I'd try 1 tablespoon. My homemade maple mustard sauce is good with these. Or my kids like them with ranch, bbq sauce, or ketchup. Sugar free bbq and ketchup is available in most health stores. These are so tasty and I have made them multiple times now. However, I have no clue what I am doing wrong when it comes to them looking like yours and getting the crispyness on the outside! Mine aren't crispy on the outside. You could fry them after baking to crisp them. Do you think this would work with shredded chicken made in my instant pot? Do you have any idea how many pounds of chicken would yield the 2 cups? I've had my eye on your recipe for a while! Thank you! Best ever!!! However... it takes me a lot longer than 5 minutes. (The first batch I made disappeared in less than 5 minutes. I now triple or quadruple the recipe when I make them!) I have such a hard time scooping and flattening the mixture into the nuggets and they just aren’t as good if they are too thick (I tried that too). The mixture is SO sticky! How do you flatten out the scoops before baking? 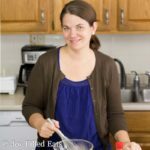 Can I use Flaxseed meal instead of almond flour? I'm on a elimination diet and can't have nuts and I know coconut is a go to but I dont like anything coconut. I think sunflower seed flour would taste better but flax would work. WOW! just WOW! These are out of this world! AND they're super easy to make!! I used to always stay away from chicken nuggets, but now that I am full-on keto, I want to eat these every day!. I can't wait to try some of your other recipes. These nuggets are really good! Thanks for the recipe! How would these nuggets do to send in a school lunch? I’m worried about not being able to heat them before eating. I enjoy them cold right from the fridge. If your kids do too then they'd be fine to send with an ice pack. Or you could heat in the morning and send in a thermos. Very east. Super delicious. Keep up the great recipes! Love them. Yes. I would just taste it to see if you need added salt. You may just want to use a little garlic powder instead of the garlic salt blend. 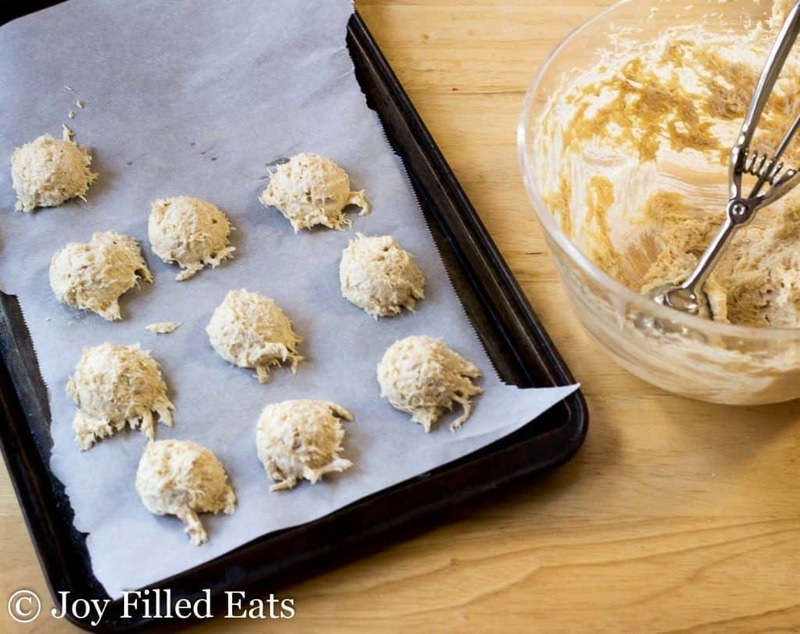 these are very easy to make and absolutely delish! i do think they were a little big. i think you could easily get 36 out of the mix, possibly more. we did an extra step, though. after baking them, we shallow pan fried them. i think it gave a more “authentic” flavor. these will most definitely become a regular at our house!!!!! I thought about breading and frying them to give a crispy exterior but I decided to keep it simple. I'm glad you liked them! Approximately how many nuggets dose the recipe make in total? What size scoop did you use and how many nuggets per serving? Looks delicious! I used a standard cookie scoop which I believe is 2 tablespoons. I got 24 nuggets. The nutrition is calculated for 6 servings of 4 nuggets each. I'm a bit confused. is the nurtician facts you provided above it states per serving, are the calculations for 4 chicken nuggets or 6 chicken nuggets? The calculations are for 4 nuggets. Thank-you so much for this recipe! I am new to THM and I don't like chicken very much, but this was one of the few recipes w/chicken that I LOVED! Fantastic! Thanks so much for taking the time to share the recipes. Hello! I was wondering what the serving size was and the approximate net "carbbage" is for the nuggets. They look awesome. I'm going to see if I can shape them with cookie cutters for my 4 year old. About 1 carb per nugget. I just added a nutrition box to the bottom of the post.